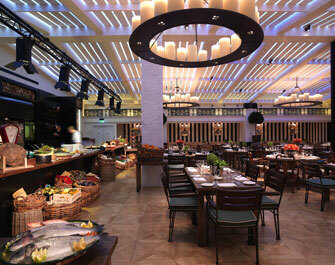 Superior personalised sound solution for distinct restaurants and lounge. Situated in Mayfair's exclusive Berkeley Street, Novikov Restaurant & Bar is the first restaurant to be opened outside his native Russia by successful multiple operator, Arkady Novikov. Set on a massive 17,500 sq. ft footprint covering three floors (with a combined capacity of 565 people), the multi-million pound venue combines top class pan-Asian and classic Italian cuisine, wrapped around theatre kitchens within distinct, innovative interiors. This is set against a background of super cool, customer profiled music — played through carefully selected sound reinforcement systems, which have been designed and installed by the Sound Division Group. Divided into the two dining zones and a basement lounge bar, the interior of Novikov Restaurant & Bar was designed by Russian company Geometry Design Moscow in partnership with London-based project managers, Keir Townsend — who introduced Sound Division to the project. 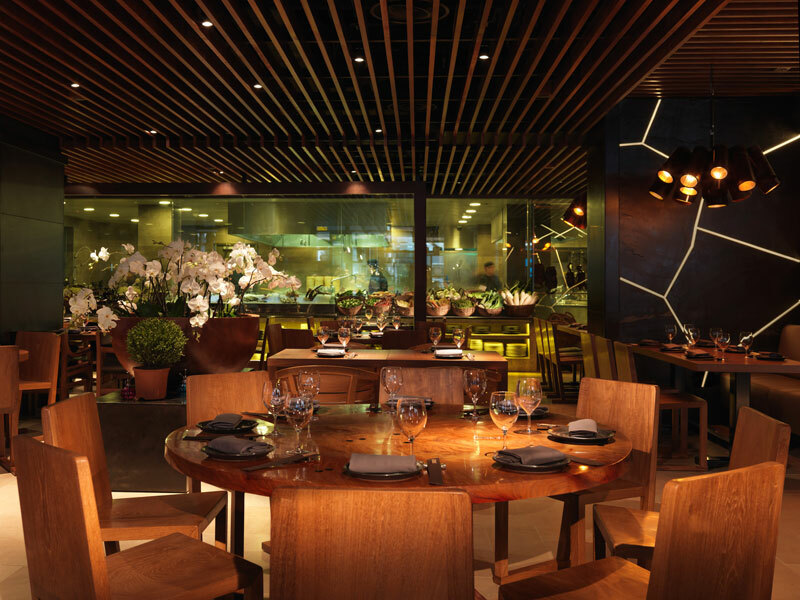 All natural materials — wood, stone, and leather — are found in the pan-Asian restaurant, while the open kitchen is a gastronomic theatre, fronted by an Asian food market. Take the walkway down to the lower ground floor, and the eye is arrested by truss-mounted theatre fresnels, which announce the presence of the classical Italian restaurant's open kitchen, in an environment where a wood-burning stove operates in harmony with oak-framed mirrors. Both the production lighting and sound have been designed and installed by Sound Division, who widened their scope to deliver a full top-spec dome camera CCTV and access control system, offering both internal and outdoor surveillance. This ensures that the atmosphere is forever changing (up to a terminal hour of 2am) according to the time of day or season. The customer profiling has been undertaken by 8Track Music Solutions, who have compiled the playlists to suit the mood of each space. The playback set-up is built around three hard-drives and three separate monitors, which allows management to see exactly what's going on in each 'room' at any given time (with colour-coded 'skins' for each zone). In equipping the 13 separate sound zones, David Graham's company has applied the same sense of individual identity, giving the loudspeakers a highly visible industrial look or making them discreet as required. For instance the six JBL Control 67 Pendant speakers, suspended above the floating wooden slatted raft ceiling in the Asian restaurant, provide an invisible sound source as do the two in the adjacent bar and holding areas. Meanwhile, the Italian restaurant features a Bose system, comprising eight stylish DS40SE speakers (wall mounted in pairs on pillars, and also individually on the veranda ledge) plus a pair of Bose FreeSpace DS40F flush-mount ceiling speakers. The partitioned private dining areas — screened away to the right of the dining room — are served by 11 further flush-mount Bose DS16 ceiling speakers. But it is down in the basement Lounge Bar that Sound Division have delivered their trademark nightclub style muscularity, with a punchy NEXO sound system. This provides an early outing for the brand new Mk2 NEXO PS8's and LS600 subs, along with reference monitors for a DJ operating Wednesday through Saturday. 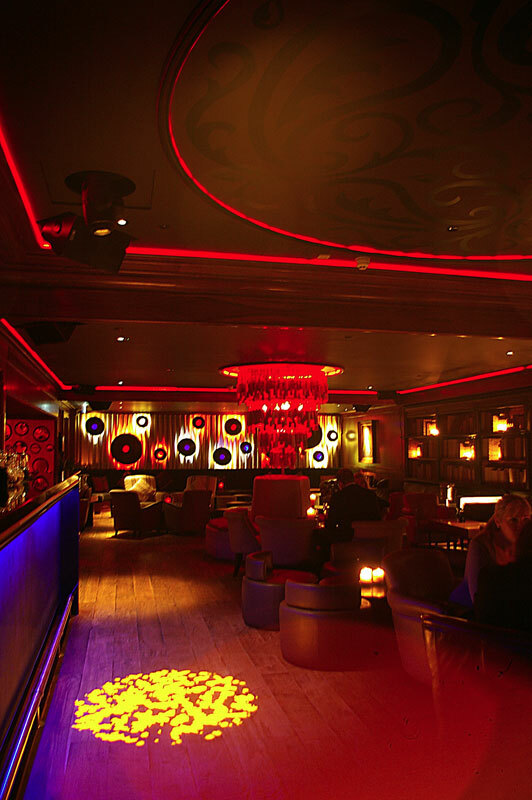 Four high powered NEXO PS10 speakers have been ceiling mounted in a quad shape to cover the hot spot lounge area around the main bar and over the small performance area in front of the DJ booth. Around the remaining three lounge areas to the rear and side, multiple pairs of PS8 speakers have been installed — and where low-frequency extension is required, seven floor-standing NEXO LS600 15” sub bass have been provided (five of those floor-standing in the main room). Powering the entire system is a combination of Camco and Cloud amplifiers. 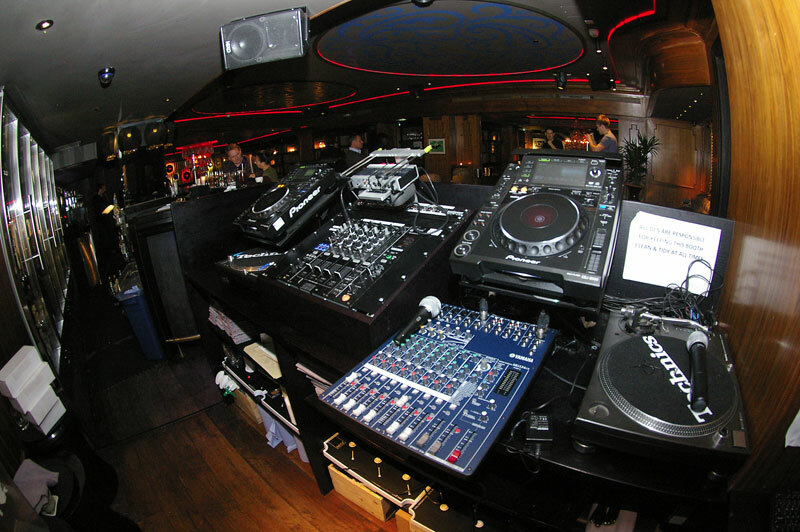 The front end includes two of the new Pioneer CDJ2000 CD players, a Pioneer DJM900 Nexus mixer, and a Traktor software control package for laptop DJs to use — all digitally connected via a Netgear network hub. For DJ monitoring, a pair of overhead Nexo PS8 speakers are configured in stereo while a 24 channel multicore and stage box running back to the DJ booth from the small performance area (which will play an increasing role once this venue starts to appear on the roster for record company private showcases). 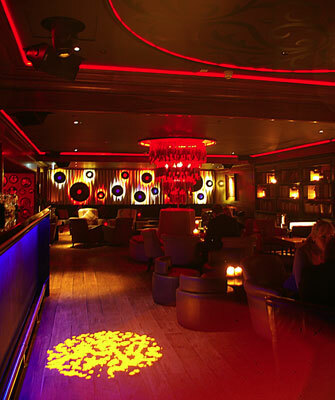 Overhead in this nightclub-style lounge, the mood and dynamics are constantly changing via the six Martin Mac 350 Entour LED Moving Head Profile Lights — also designed and installed by Sound Division. In a real tour de force, these are operated by industry standard Martin LightJockey software, and managed by a Protouch 19" LCD Touch Screen Monitor PC. Yet the hallmark of this installation is as much about control versatility as sheer output. Like much of Sound Division's work, the magic is in the matrix routing, and in this instance Sound Division have used a Soundweb London 12-in/8-out BLU-100 DSP to switch the presets from a front facing conventional PA, for when the venue hosts live music, to an all-immersive surround sound to envelop the audience when the DJ is playing high octane dance music. The network is completed by strategically placed BSS Soundweb remote BLU-3 and BLU-8 wall panels, offering local source select and volume control. David Graham was as aware as the venue's experienced general manager Caroline Taylor (formerly GM at the OXO Tower and Dorchester Hotel's China Tang) that this high profile venue would attract music business and other celebs. She brought in John Beech as music consultant — part of a hand-picked team which includes some of the world's top chefs and bartenders. Thus Sound Division has succeeded in delivering a pristine signal path, even coverage and state-of-the-art DJ tools to maintain the lounge bar as a destination venue in its own right. “By being given a sensible budget we have been able to make sure the specification was right, and meet and exceed the requirement without compromise — whether providing high powered foreground music or subtle transparent background reproduction,” states Graham. His team worked diligently alongside Geometry's lead designer, Irina Glik, as well as Justin Peach at main contractors, The Beck Group. 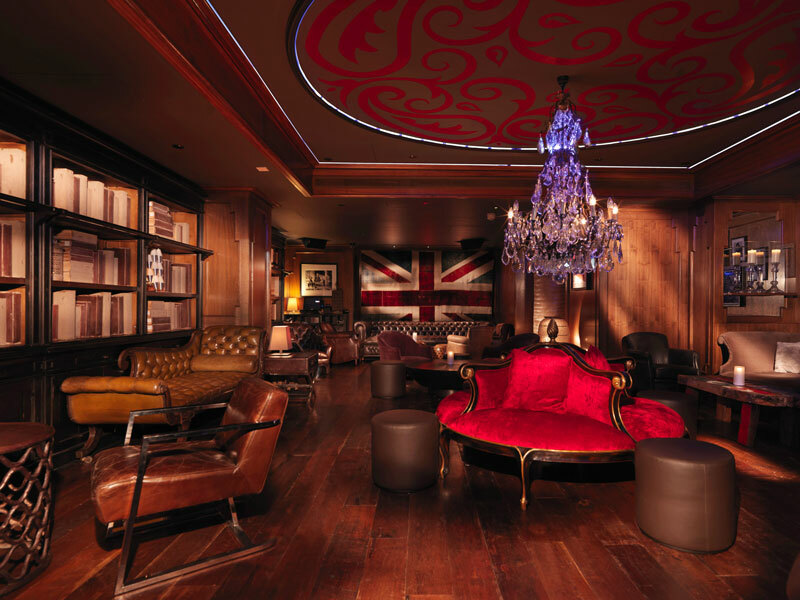 The music programming and customer profiling at Novikov has been undertaken by 8Track Music Solutions, who have compiled the playlists to suit the mood of each space. These are presently being reviewed and updated on a monthly basis. The playback set-up is built around three hard-drives and three separate monitors, which allows management to see exactly what’s going on in each 'room' at any given time — with colour-coded 'skins' for each zone. 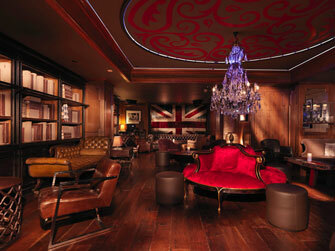 The lounge has a mixture of playlist options but mainly focuses on modern jazz and soul releases, as well as remixes. 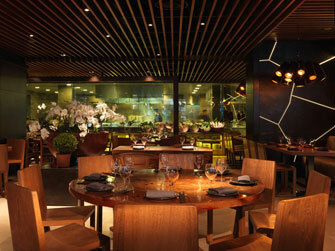 “The idea was to create a 'classic' sounding environment to complement the decor and drinks lists,” he says.